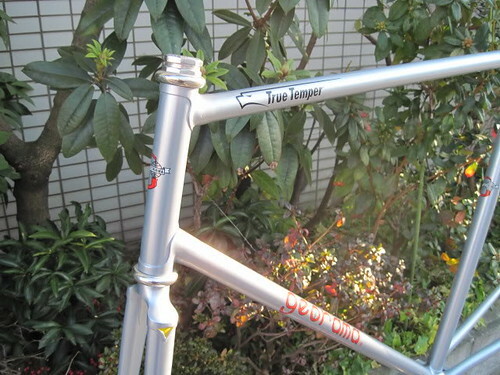 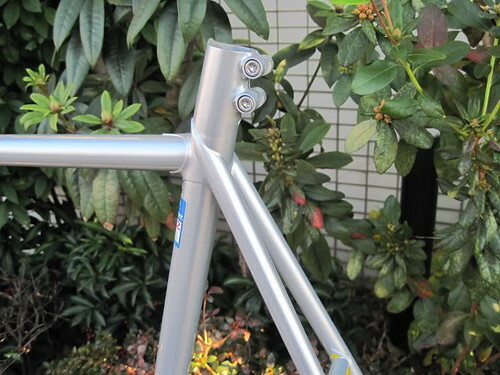 This NJS Keirin track frame was built for World Champion sprint cyclist Michael Hübner when he participated in the Japan Keirin.. it seems it was not a good fit for him so he did not ride it for long. 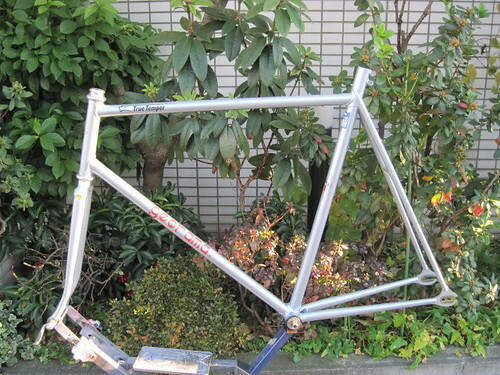 We have no written proof that this frame belonged to Hübner, but we picked it up from the Georama factory and they said this frame was his. 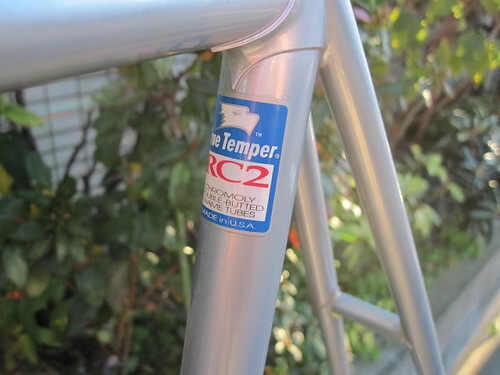 Also, there is a little surface rust on the left side of the front fork drop but is otherwise in really great condition. 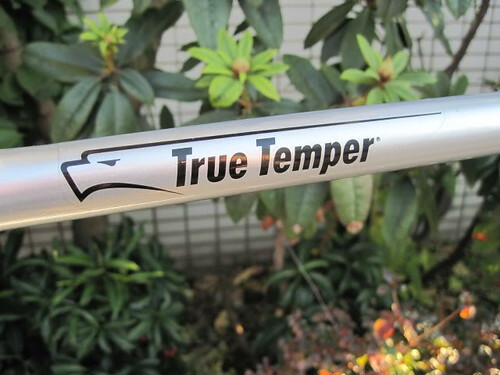 True Temper RC2 tubing.